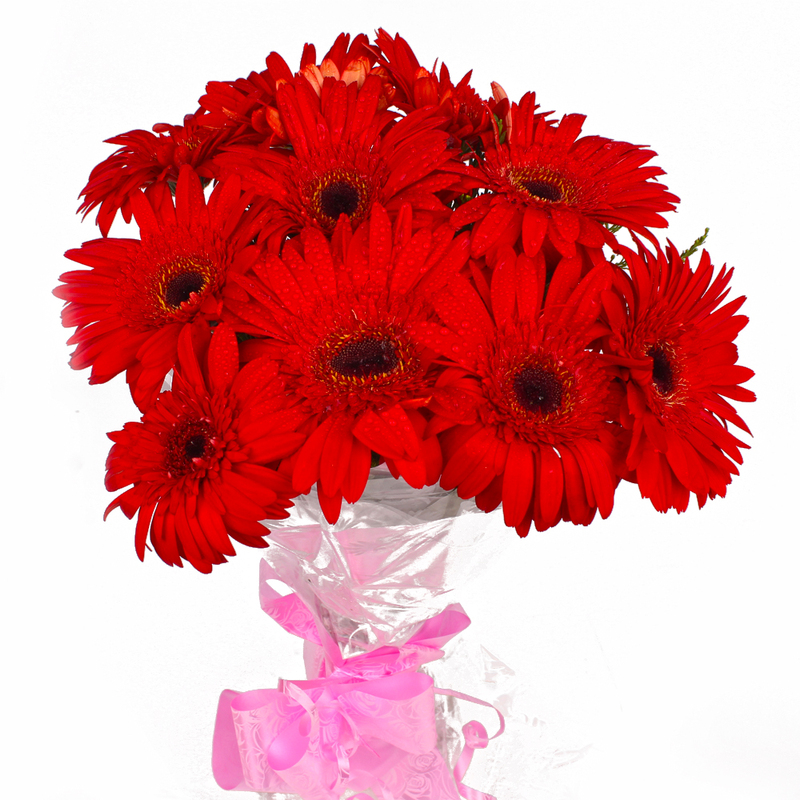 Product Consist : 10 Stem Red Color Gerberas with green fillers in Cellophane Wrapping with Ribbon Bow on it. 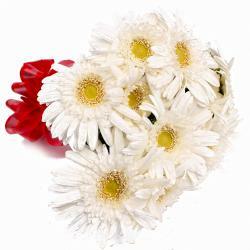 Nothing speaks more of love and adulation than flowers, so why not gift a bunch on special occasions. 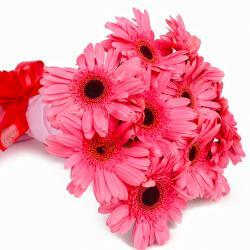 The bouquet includes ten Red Gerberas which have been arranged in cellophane paper. It has a bow tied around it in matching ribbon. 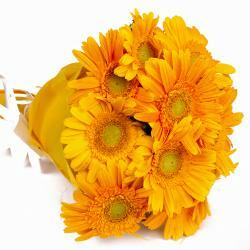 The flowers look beautiful and will definitely elicit you compliments for your choice. 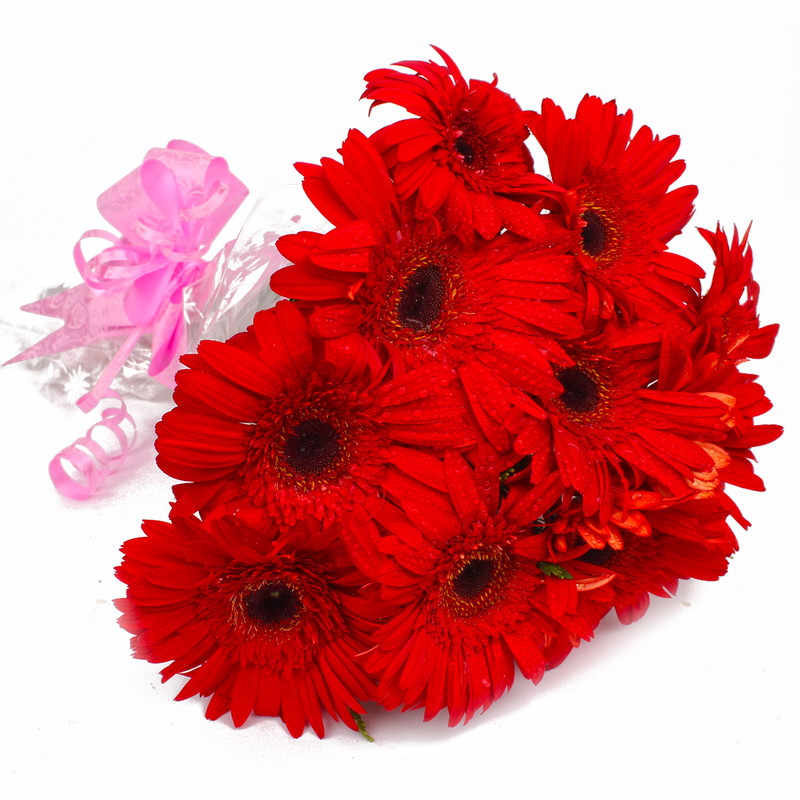 This bouquet of red gerberas looks spectacular and is perfect to be gifted on Birthday, Anniversary, Missing You, Ganesh Chaturthi, Boss Day and other parties. 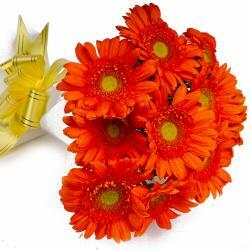 Product contains : Ten Red Color Gerberas with green fillers in Cellophane Wrapping with Ribbon Bow on it.